Even though Tuberculosis is preventable and treatable, it remains the world’s deadliest infectious disease. India has the highest burden of Tuberculosis in the world. In 2015 alone, 2.8 million cases of TB was reported and 480,000 people died from it. India had 130,000 multi-drug resistant TB patients in 2015, the highest in the world. 60 percent of the total number of Tuberculosis cases comes from six countries and India is on top followed by Indonesia, China, Nigeria, Pakistan and South Africa. 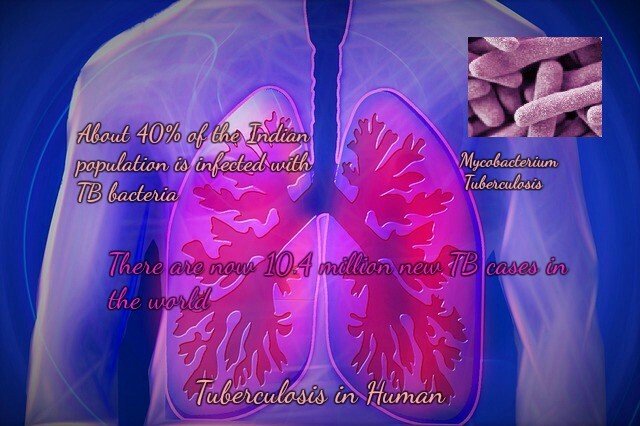 40% of India’s population, which accounts to around 50 crore, have Latent Tuberculosis. 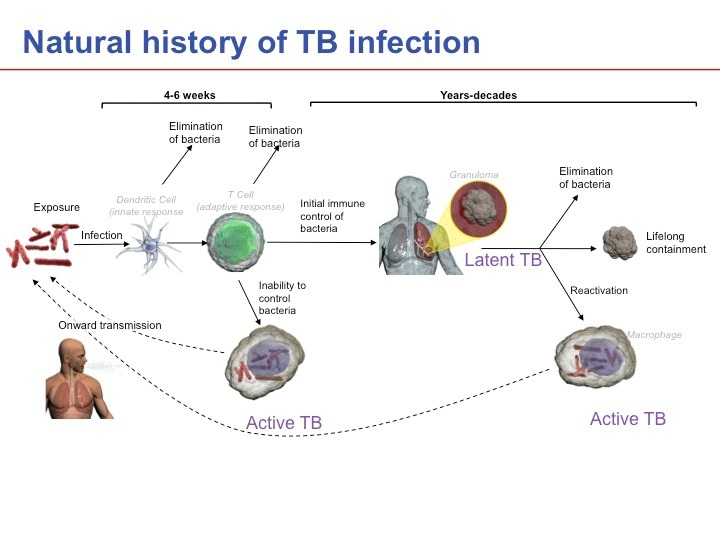 Latent TB infection means a person have infectious agent present in him, but would not show any evidence of active disease as long as his immunity stays strong!. In a TED Talk on ‘India’s Tuberculosis crisis’, Zarir F Udwadia, a leading expert on TB and chest physician at the Hinduja Hospital & Research Centre, Mumbai, called it, “Ebola with wings.”….. The situation at this moment in India looks grim as number of patients with multi-drug resistant TB and extensively drug-resistant TB is on rise. The situation at this moment in India looks grim as number of patients with multi-drug resistant TB and extensively drug-resistant TB is on rise. As per latest report almost one in five cases of TB shows resistance to at least one major anti-TB drug. Tuberculosis is an infectious disease caused by Mycobacterium tuberculosis that affects the lungs. It can also spread to other parts of the body, like the brain and spine. Mycobacterium is an airborne pathogen, hence TB can spread through the air from person to person. 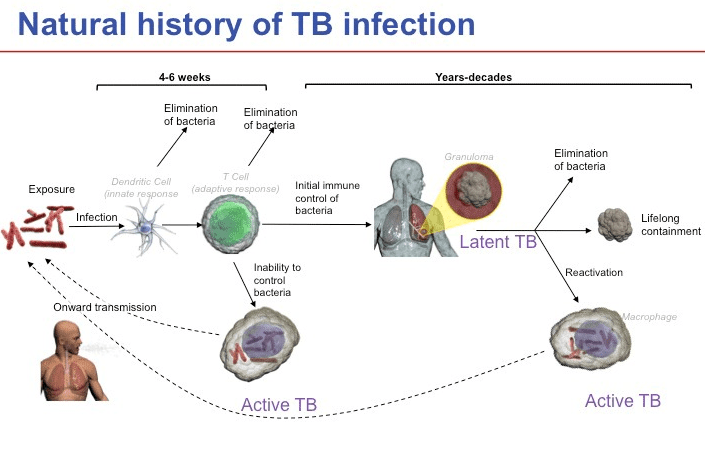 Latent TB: You have the germs in your body, but your immune system stops them from spreading. Active TB disease: Patient develops disease and can even transmit to others. Symptoms of TB includes coughing that lasts 3 weeks or longer, sometimes with mucus or blood, Fatigue, Chills/Fever, Loss of weight, Loss of Appetite and Night sweats. A person whose immunity is week is at great risk. This includes people with diabetes, kidney disease, cancer, rheumatoid arthritis, HIV, malnutrition and tobacco smoking. Babies and young children also are at greater risk, because their immune systems aren’t fully formed. Multidrug-resistant tuberculosis (MDR-TB) is caused by Mycobacterium tuberculosis resistant to rifampicin and isoniazid, the two main first line antimicrobials. When MDR M. tuberculosis has additional resistance to a fluroquinolone and a second line injectable antibiotic amikacin, kanamycin or capreomycin, it is designated extensively drug-resistant (XDR). (BCG) vaccine is administered in infants at birth in most regions where tuberculosis is endemic. But on the basis of a meta-analysis of controlled clinical trials, it has been observed that BCG vaccine only has overall efficacy of approximately 50% for the prevention of tuberculosis. Chest X ray is used to check lung abnormalities in people who have symptoms of Tuberculosis disease. Sputum microscopy and culture in liquid medium with subsequent drug-susceptibility testing are currently recommended as standard methods for diagnosing active tuberculosis. Interferon-gamma release assays and tuberculin skin tests are also performed. Nucleic acid amplification tests, imaging, and histopathological examination of biopsy samples supplement these evaluations. In resource-constrained settings with a high prevalence of tuberculosis and HIV infection, an estimated 30% of all patients with tuberculosis and more than 90% of those with multidrug-resistant and extensively drug-resistant tuberculosis do not receive a diagnosis. To treat ordinary TB, it takes about six to eight months but to treat Drug resistant-TB it will need around two years and will require more specialized drugs that are not always easily available. The government of India has declared its plan to eliminate Tuberculosis by 2025, even though meeting this deadline is going to be a big challenge. Government of India aims to fight the bacteria by better detection, treatment, prevention, and strengthening policies. Government has made it possible for TB patients from the lower strata of society to avail advanced diagnostic facilities. The TB control program has been able to reach even the interiors of India. Authorities have been able to improve rate of disease detection and case reporting. Even though these initiatives looks promising, medical practitioners in India are doubtful of meeting this deadline. They feel that elimination of TB is an impractical and unachievable goal. Threat is posed by the rise of drug-resistant strains of Mycobacterium. Time will tell how these programs will turn out into, but my word of caution to everyone who reads this post; “please take good care”. This disease is really spreading in india. And there sould be much Awareness for its cure and symptoms and how to keep youself away from it. Nice informative post. Thanks for sharing. Yup, there should be much awareness about this disease. It’s really an interesting article. Thanks for sharing. Informative article……. We really needed this awareness…. Types n effects…..very well written.. Very informative post. Great disease awareness thoughts. sometimes i feel ashamed of wht we have made of our country. hearts and lung diseases are so high, its alarming and embarrassing. This disease is a plague upon our country and keeping ourselves educated is the first step in preventing it from spreading. interesting and informative post. Yes totally agree that there should be much awareness about this disease in our country. This post is informative, Yes TB is worst. Thanks for sharing. Thank you for this informative post! I think many would find this useful! It is indeed a deadly disease but with proper precautions and medicine, one can come out of it. As I always say you guys bring out genuine and useful information that all of us can use. Very nice post. Science and wellness!! The pair I had been waiting to read on. Amazing job!